WASHINGTON — The day before meeting with embattled Kentucky county clerk Kim Davis, the Roman Catholic pontiff known as Francis met with a friend and former student who has been in a homosexual relationship for 19 years. “Three weeks before the trip, he called me on the phone and said he would love to give me a hug,” Grassi told the outlet. He said that Francis has known for some time that he is a homosexual, and met his partner once in Rome. 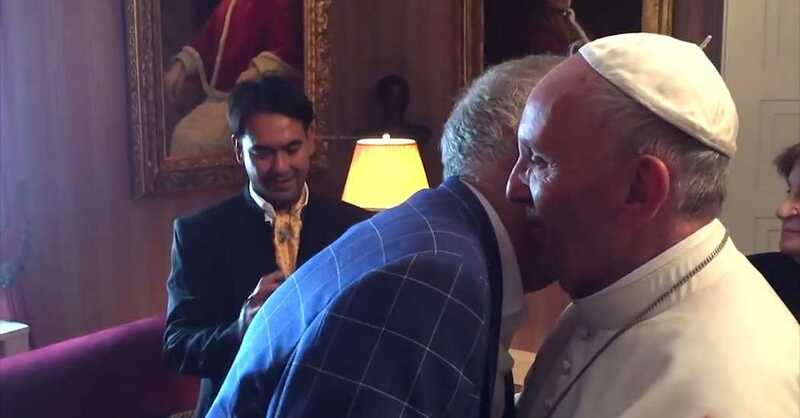 The pontiff is stated to have hugged and kissed both men during the private meeting. The Vatican has confirmed that Francis met with the men and their friends. The following day, the Roman Catholic pontiff met with embattled Kentucky county clerk Kim Davis, but as word grew about the encounter, the Vatican released a statement on Friday providing clarification and remarking that meeting Davis should not necessarily be considered as suggesting official support. The “former student” referenced in the statement was Grassi. While Roman Catholic doctrine opposes same gender sexual behavior, the pontiff has sparked discussion in the past for his conciliatory tone toward homosexuals.